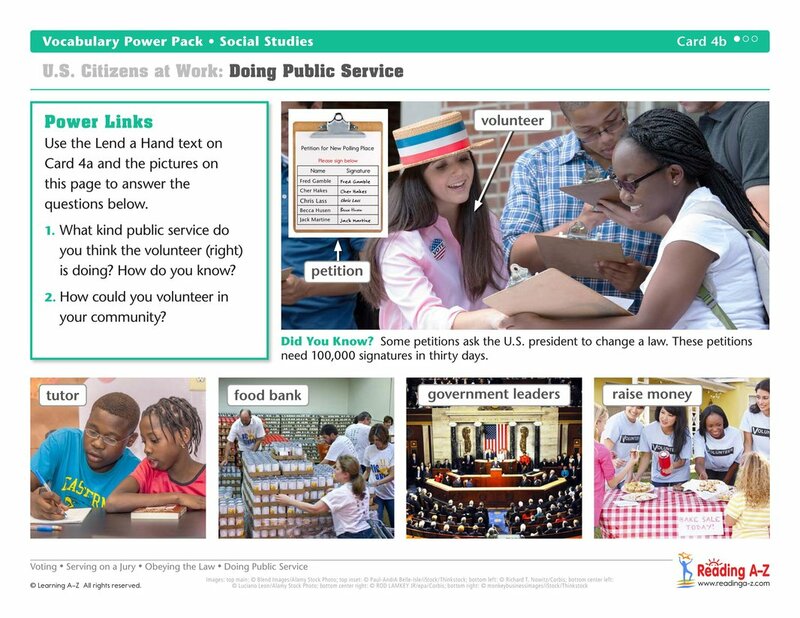 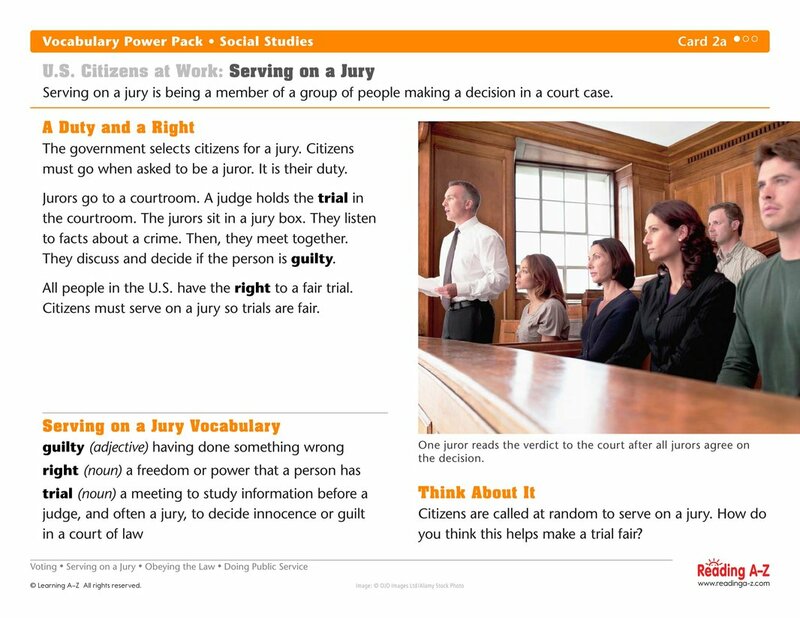 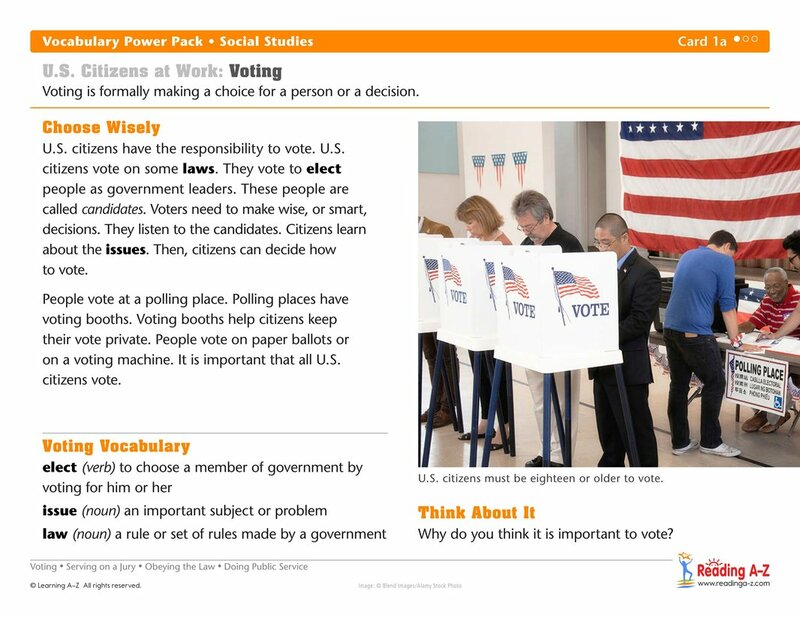 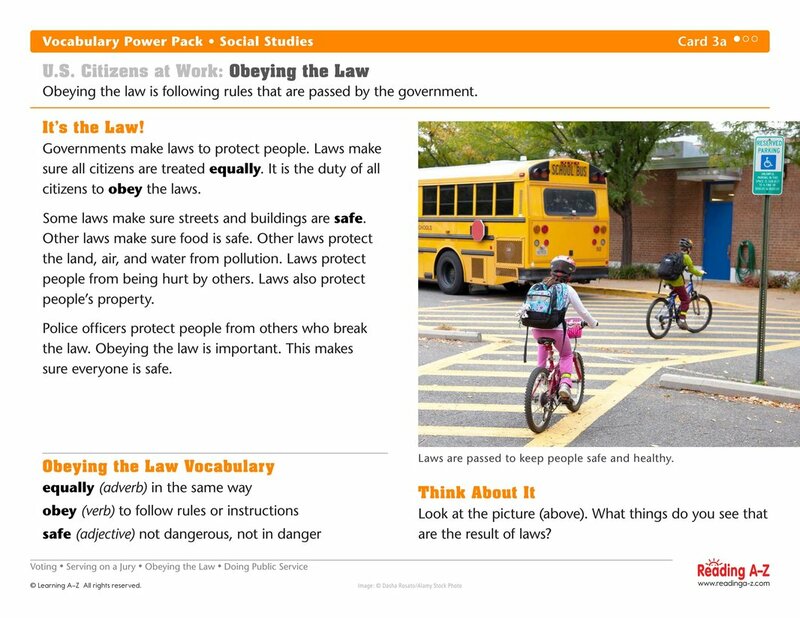 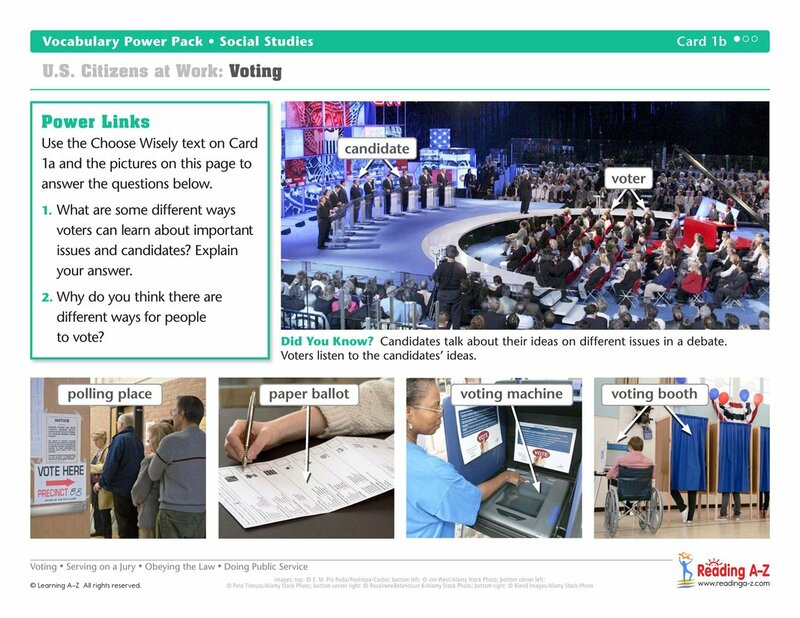 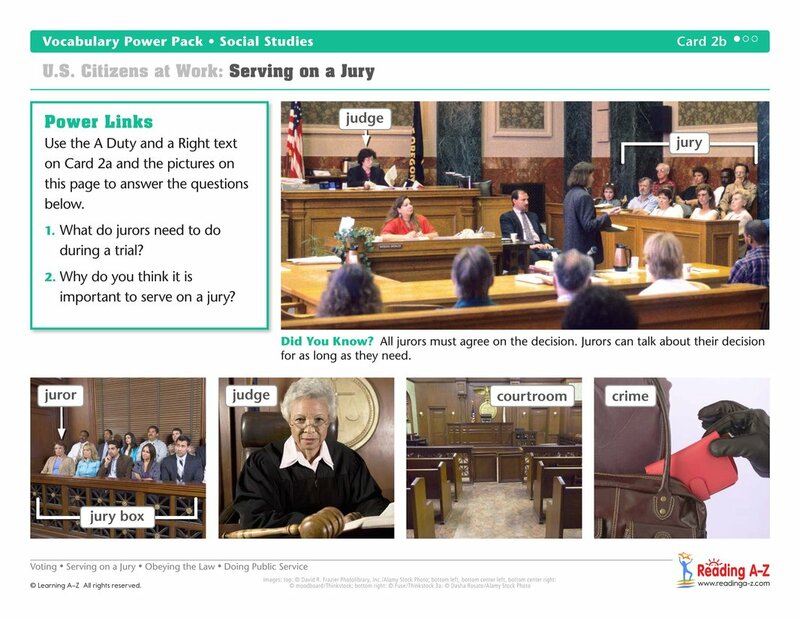 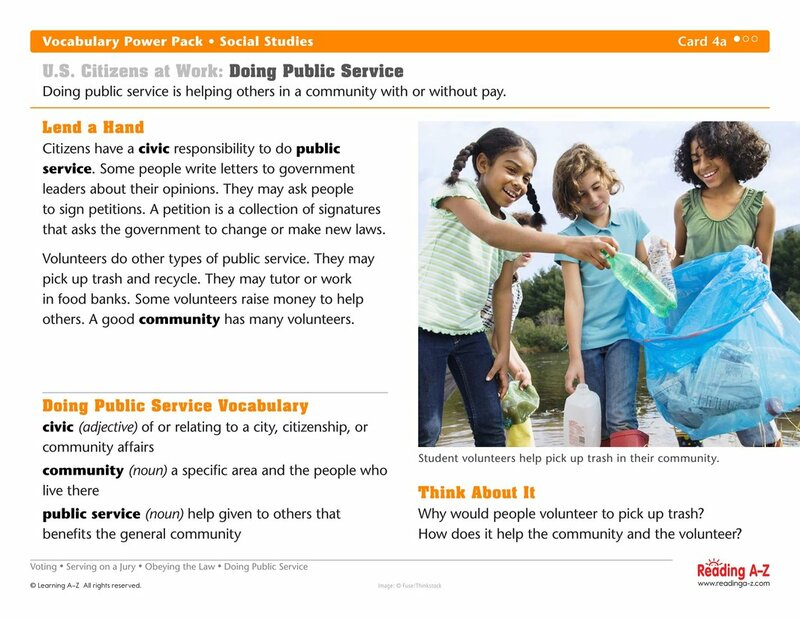 Students will learn academic and content-area vocabulary related to the duties and responsibilities of US citizens by reading, speaking, listening, and writing about voting, serving on a jury, obeying the law, and doing public service. 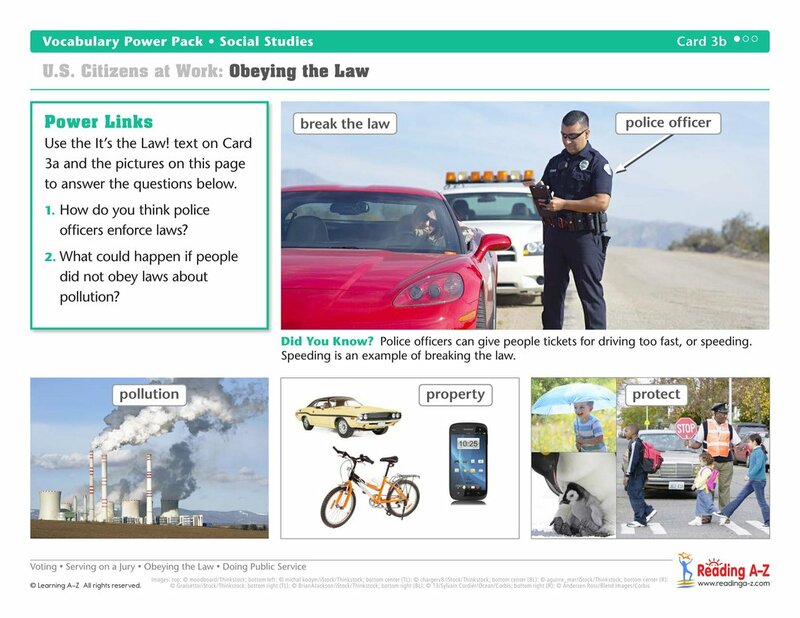 High-interest text with engaging photographs and diagrams provide structured and scaffolded support for all language levels. 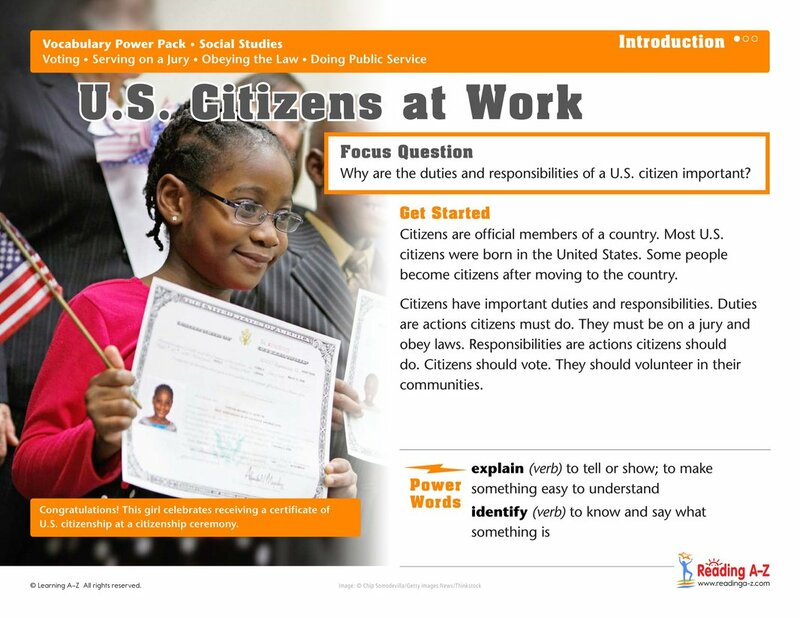 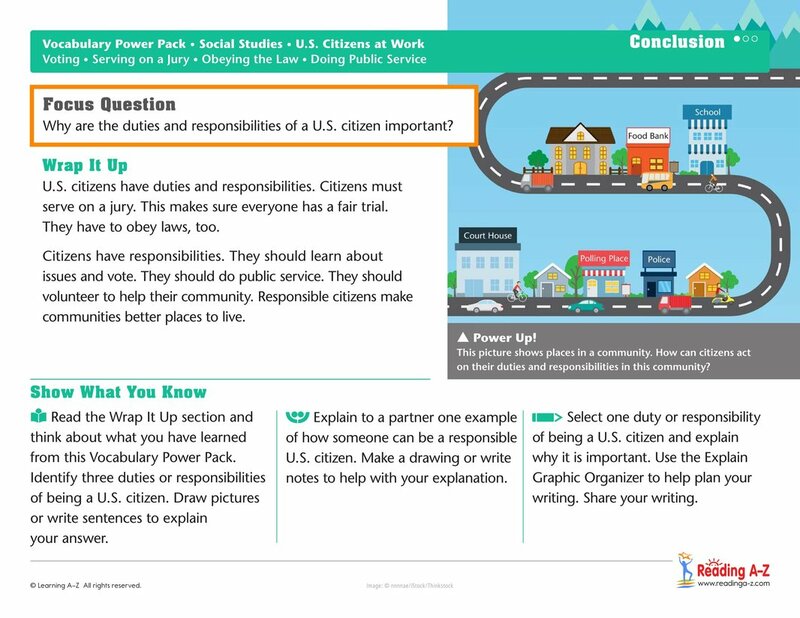 Students will read closely, think critically, and cite evidence to answer the focus question: Why are the duties and responsibilities of a U.S. citizen important?